On November 27th and 28th the second Zero Emission Bus (ZEB) Conference took place in Cologne. In light of the zero emission regulations on local, national and European level for public transport, the German city was the perfect setting as it is one of the European leaders in decarbonising bus fleets. The ZEB conference brought together around 400 policy makers, bus operators and industry experts and called on European policy makers, manufacturers, cities and operators to take action and drive forward the realisation of zero emission public transport for Europe. The ZEB conference looked at both battery and hydrogen buses to demonstrate that zero emission buses are ready for mass-market deployment. Big announcements in the public transport sector took place during the two-days event, e.g. Nel Hydrogen announced the deployment of 600 buses in Europe in the in the framework of the H2Bus Europe project; Transdev and the Transport Region of Amsterdam (VRA) also announced plans to upscale their zero emission fleets in the upcoming years. During the conference Mayor Reker of Cologne signed the Declaration of Intent on promoting large-scale deployment of clean, alternatively fuelled buses in Europe. Maja Bakran Marcich, Deputy Director General of Mobility & Transport for the European Commission, commented on the signing: “We warmly welcome the City of Cologne signing the Clean Buses Declaration. We need to move fast if we want to have cleaner and healthier cities for the European citizens. Cities and local authorities have a key role to play to achieve a decarbonised Europe”. The ZEB conference is organised in the framework of the FCH JU funded JIVE 2 project and aims to accelerate the adoption of zero emission vehicles by sharing information and experiences and offering guidance in procurement and financing of new fleets. 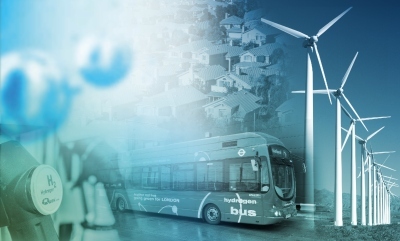 The JIVE and JIVE2 projects, which started in January 2017 and January 2018, will deploy nearly 300 zero emission fuel cell buses and associated infrastructure (under the MEHRLIN project) in 20 cities across Europe by early 2020s – the largest deployment in Europe to date. The buses will be deployed in cities in Denmark, France, Germany, Iceland, Italy, Latvia, Norway, Sweden, The Netherlands and United Kingdom.